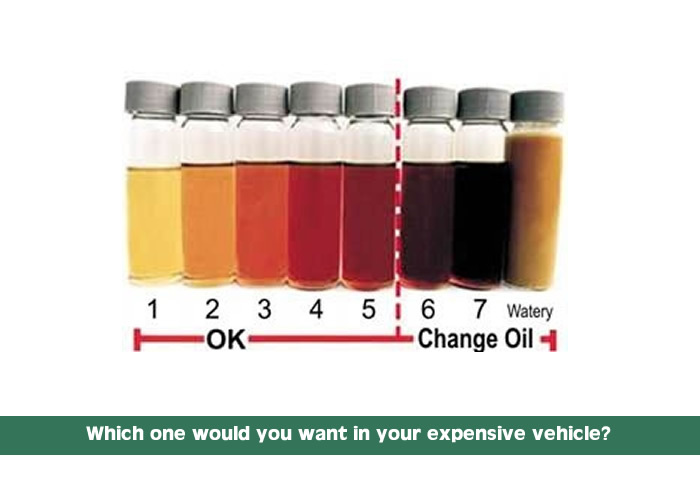 Engine Oil – Why and When should we change it? Many European manufacturers define the engine oil change interval at 12K to 16K miles; but unless your vehicle is always operated under “perfect” conditions, you will need to change your engine oil much earlier. High quality synthetic oil is the life’s blood of your engine. It washes away microscopic metal particles from the cylinder walls, bearings, reciprocating shafts and carries them into the oil filter. 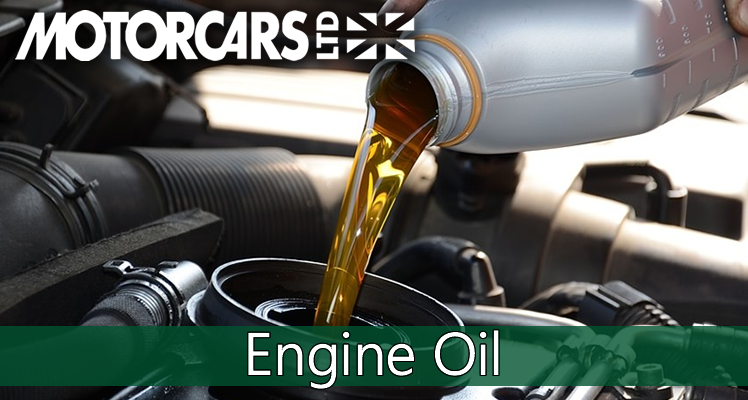 As importantly, oil is a hydraulic fluid that maintains proper pressure on timing chains and to control the variable camshaft timing systems, all of which are used in modern engine designs. All engines burn some amount of their engine oil and most leak some amount of oil. 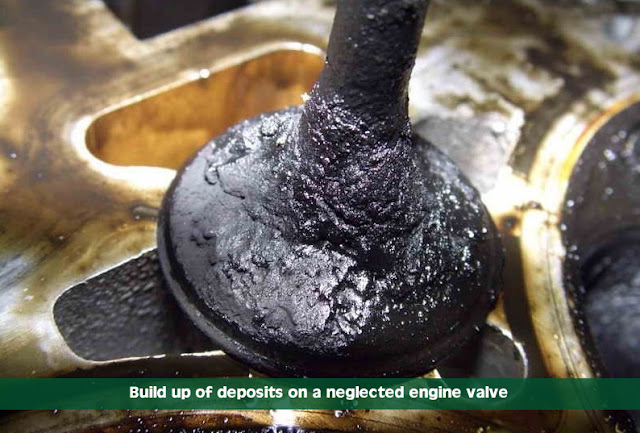 Any loss of engine oil causes a higher buildup rate of metal particles, dissolved soot and other acidic combustion products. Motorcars Ltd. always recommends a 5K mile oil change interval to give every customer a hedge against preventable premature engine wear. All modern luxury/performance engines run some version of Variable Valve Timing (VVT-I – Variable Valve Timing with Intelligence). These VVT systems vary the camshaft timing depending upon the engine’s need for more power and torque. When operating properly, the VVT’s , provide additional performance on demand. 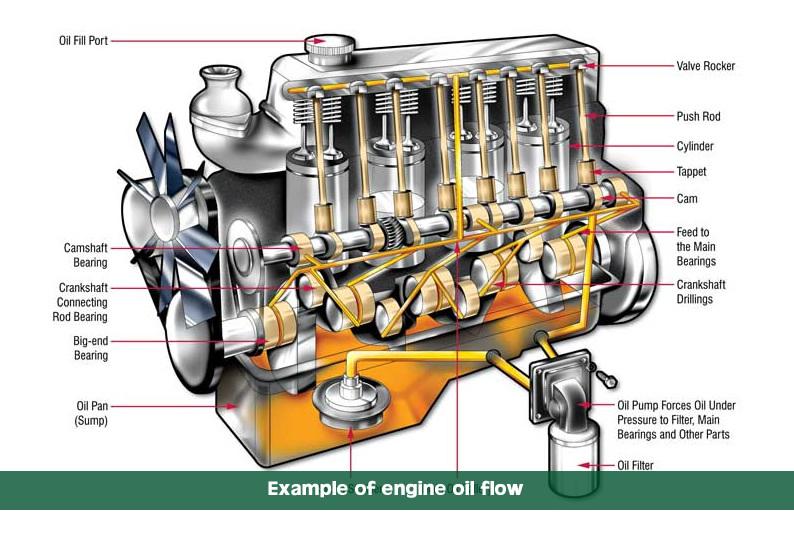 These systems are dependent upon oil flow and pressure within the VVT actuators. Extended (IE: “Normal Service” intervals being driven in “Severe Service” conditions) wreak havoc on these expensive parts – even when running the best synthetic motor oils available. There is no substitute for clean oil. All of the oil passages associated with the timing chain tensioners, and the VVT system are extremely small, it doesn’t take much of build up of carbon in the oil to start depositing that carbon in those passages and start clogging them. Once the VVT internal ports get clogged with dirty or sludgy oil, these highly-engineered actuators can loose their ability to control cam timing and can degrade engine performance. In one recent case, we performed extensive repairs on an engine which had actually jumped camshaft timing – remarkably, the engine had less than 49K miles on it !! The engine was in a 2012 model Range Rover Sport and the root cause was that the oil had only been changed three times during the vehicle’s life…. which works out to 16K miles between oil changes. That fulfills the manufacturer’s maintenance recommendation but still damaged the engine due to breakdown of the oil’s ability to lubricate and carry away carbon and impurities. Interestingly, the manufacturer refused to warranty the engine “because the engine had not been properly maintained”. Ideally, in addition to regular service interval oil changes a thorough engine deposit control flush should be done once a year, at a minimum.